What are you looking forward to the most this summer? Some people like to relax outside by reading on a patio or sipping cocktails on a roof deck. Others head straight for the water to go swimming, sailing, and fishing. But your mind is on hiking. You prefer the solitude, the challenge, and the gorgeous views along the way. 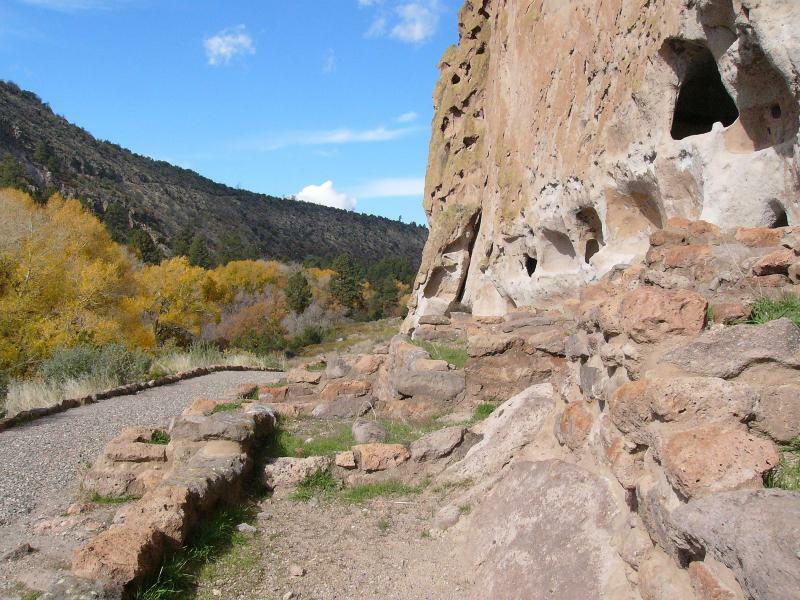 At Bandelier National Monument, you can add a history lesson, as well. 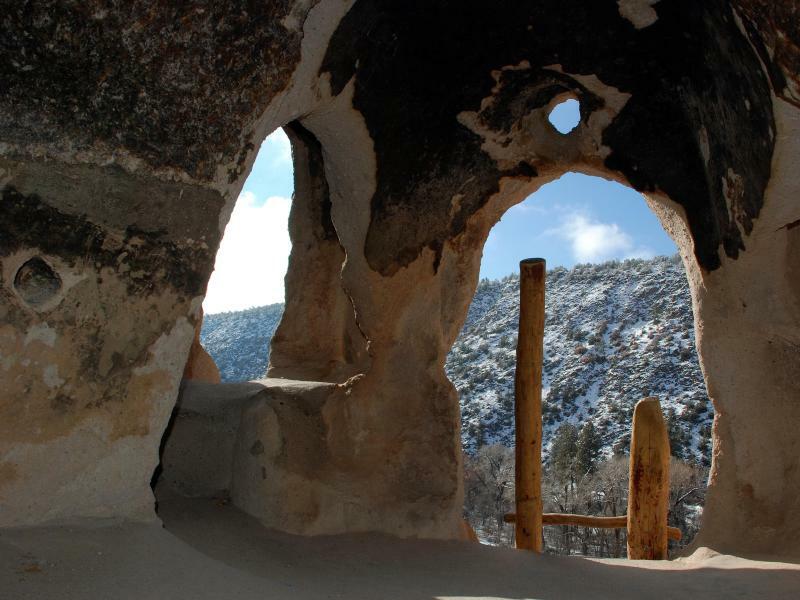 Bandelier National Monument preserves the homes and the land of the Ancestral Puebloans. The Native Americans lived on the Pajarito Plateau along the slopes of the Jemez Mountains, in what is now Northern New Mexico, from 1150 to nearly 1600. Their homes were carved into the steep volcanic tuffs. Corn and beans were planted in the mesa fields. And they hunted deer, squirrels, and rabbits that lived in the surrounding forest. President Woodrow Wilson established the national monument in 1916 and named it after a Swiss anthropologist who researched the area’s cultures. More than 70 percent of the 50-square-mile area is covered with dense wilderness. The elevation increases an entire mile—from the Rio Grande riverbed to the peak of the Cerro Grande—within this relatively small area. Frijoles Canyon, where the Ancestral Puebloans lived, is filled with pueblo homes, religious kivas, and petroglyphs. While more than 70 miles of hiking trails fill the protected area. Start on the Main Loop, a 1.2-mile trail that begins at the Visitor Center. Pass Big Kiva, a communal meeting place, and Tyuonyi, the remains of a huge building that once stored food. Cross small bridges and climb narrow stone staircases along the path. Stop at the Talus House and the Long House to see the types of homes that were built at the bottom of the cliffs. Petroglyphs of turkeys fill the walls. Then climb a steep wooden ladder into a cavate—a carved alcove—and watch your head once you’re inside the small space. Bats fly out of the cave wall when disrupted. A jangling sound that could only belong to a rattlesnake rings in the distance. Plus two ravens keep an eye on your movements. When you finish the Main Loop, move onto the Falls Trail. It’s a steep hike up the 1.5-mile path to the Upper Falls, a beautiful waterfall. Much of the trail was destroyed during a 2011 flash flood; the plank bridges were only recently restored. Or follow the Tyuonyi Overlook Trail across the mesa, through juniper-filled woods, and by archaeological sites for a stunning view into Frijoles Canyon. Just finish your hike before the hot afternoon—and the possible thunderstorms—arrives. You need time to plan your next trek anyway. Los Alamos, perhaps?